Tiger Shroff and Disha Patani, are reportedly dating and are often spotted in each other's company outside suburban eateries and sometimes on movie dates. 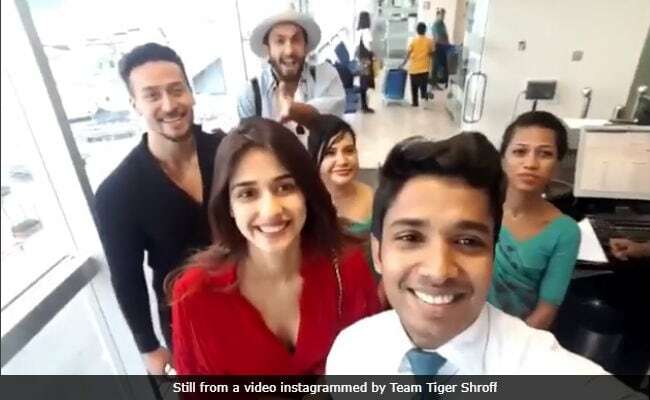 Tiger and Disha are also co-starring in Baaghi 2. Disha, who has made several regional films, debuted in Bollywood in < dhoni:="" ms="" story="" the="" untold=""> opposite Sushant Singh Rajput. With Tiger, she has also featured in the music video of T-Series' song Befikra. Her last film was Kung Fu Yoga with Jackie Chan. Tiger Shroff is a super busy actor with films like Student Of The Year 2 and Rambo remake in the pipeline (apart from Baaghi 2).